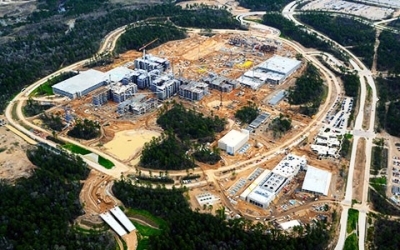 Further research reveals that Tetra Tech is specifically being funded by ExxonMobil to lead the design and construction of their new 386-acre campus north of Houston, Texas. "[A] Tetra Tech Company, is leading the design and construction of the [ExxonMobil] campus"
Tetra Tech was also hired by ExxonMobil to draft an environmental assessment for the Montana Department of Transportation to transport giant oilfield equipment modules through Montana to the Kearl Oil Sands in Alberta. 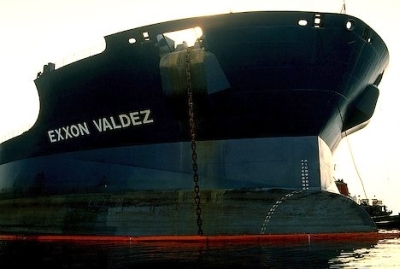 During a lawsuit that involved the National Wildlife Federation and the Sierra Club, Tetra Tech demonstrated their loyalty to "Big Oil" by testifying in defense of ExxonMobil's proposal. "Hydrogeologist Bill Craig of Tetra Tech spent the morning on the stand as a defense witness called by MDT and Imperial Oil/ExxonMobil. Tetra Tech was hired by the oil company to draft the environmental assessment MDT required for the Kearl module project"
Hypocritically, Nuccitelli railed against the development of Alberta's oil sands, while simultaneously cashing his paycheck ExxonMobil helped pay for. Is Tetra Tech aware that one of their employees is undermining the companies financial interests? Why would ExxonMobil do business with a company that employs a loose cannon like Nuccitelli who openly smears their CEO? What a hypocrite this Dana bloke is. He will have lost all credibility as no one will be able to make the claim of big oil funding sceptics - that will be a big blow to the alarmists. If I see any posts about big oil funding sceptics I will post a link back to this site. Deniers funded by big oil boogeyman, HAHAHAHAHA.